In western Uttar Pradesh, candidates of the 'gathbandhan', or the Samajwadi Party-Bahujan Samaj Party-Rashtriya Lok Dal alliance, are frequently asked why these parties have come together. At least one of them, the Samajwadi Party's Hathras candidate, Ramji Lal Suman, is trying to win over voters by being honest. 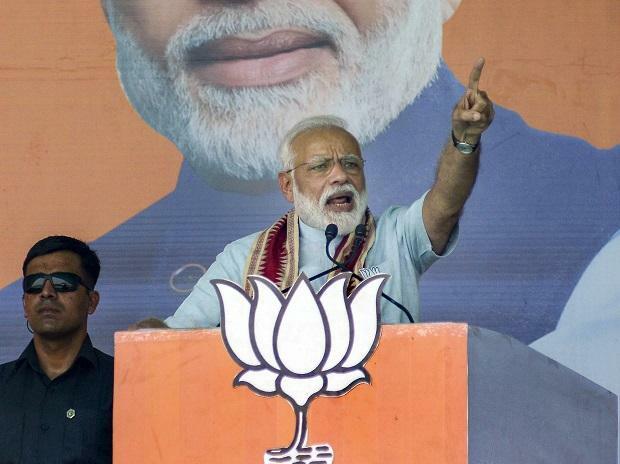 In his public meetings, Suman tells people the three parties will criticise Modi separately, but soon realised they cannot defeat him without joining forces. He says the candidates have been advised against calling the Prime Minister unparliamentary names when they are among the youth because the PM's credibility remains high among the younger lot, while the older generation claps and appreciates if the PM is compared to someone who does not keep promises. The gathbandhan leaders have also been asked to tailor their speeches according to the time of the day. Their speeches in the afternoons — when most youngsters are out for work — are no holds barred, but those in the evenings are more restrained. The pressure cooker, the symbol with which the Amma Makkal Munnetra Kazhagam (AMMK) fought the RK Nagar by-election in 2017 and trounced many Dravidian party stalwarts, has come back to haunt its leader TTV Dhinakaran. In at least three assembly constituencies, AMMK candidates are pitted against their namesakes contesting on the pressure cooker symbol. (The AMMK has changed its party symbol to a gift pack since then.) At Pappireddippatti in Dharmapuri district, AMMK candidate Rajendran DK (gift pack) is fighting independent candidate Rajendran C (pressure cooker). In Harur, the AMMK's Murugan R is pitted against independent Murugan P, who is also contesting with the pressure cooker symbol. In Tiruvarur, the AMMK's Kamaraj S will fight independent candidate Kamaraj B, brandishing... you guessed it... a pressure cooker symbol. Pundits say US President Donald Trump takes the cake when it comes to the most outrageous lines uttered during rallies. But our politicians run him close. At an election rally in Sivaganga district, Karti Chidambaram, son of former Union finance minister P Chidambaram and the Congress candidate from the Sivaganga constituency, focused on women to drive his message. Concluding a speech, he asked the women in the audience, "Do you like Sembaruthi, Lakshmi Stores or Kalyana Veedu?" These, incidentally, are the titles of the three most popular Tamil-language family soaps on television. A majority of those present said they liked the first one. Junior Chidambaram's next question was, "Do you like Parvathi (the soap's heroine) or Vanaja (a villain)". As expected, everyone voted for Parvathi. After a quick remark that the hero's name (Karthik) rhymed with his own, Karti promised to bring down the monthly cable television charges, which have shot up to Rs 400 from Rs 100 some time ago if his party won the election.